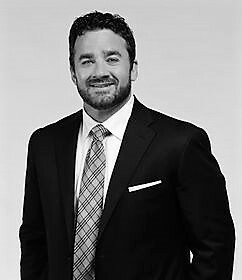 Jeff Saturday, Former NFL Player. ESPN NFL Analyst. Leadership Speaker. Jeff Saturday’s NFL career spanned 13 years with the Indianapolis Colts (1999-2011) and one year with the Green Bay Packers (2012). Though he entered the league as an undrafted free agent, Saturday was a fixture on the Colts teams that won Super Bowl XLI and represented the AFC in Super Bowl XLIV. He was named by Sporting News to the NFL All-Decade Team (2000-09) and achieved first-team All-Pro honors twice (2005, 2007). Over a decade-long period with the Colts, Saturday anchored an offensive line that allowed the fewest sacks in the league (242), and his 132 career wins as a Colt are second only to Peyton Manning (141) in franchise history. Together, Saturday and Manning started an NFL record 172 games as a center-quarterback duo. In addition to teaming with the four-time NFL MVP quarterback in Indianapolis, Saturday played his final season under center with 2011 NFL MVP Aaron Rodgers in Green Bay. He earned his sixth Pro Bowl appearance there and helped the Packers capture the NFC North title. Following the 2012 season, he signed a one-day contract with Indianapolis to officially retire as a Colt. Saturday was inducted into the Colts Ring of Honor in 2015. Saturday was a member of the Executive Committee of the National Football League Players’ Association as a player. In 2011, he was instrumental in negotiating the long-term Collective Bargaining Agreement (CBA) between the NFL and NFLPA that ended the NFL lockout. The Super Bowl champion and six-time Pro Bowl center joined ESPN in July 2013. He appears on NFL Live and SportsCenter and contributes to other ESPN platforms. A native of Atlanta, Ga., Saturday attended the University of North Carolina-Chapel Hill where he earned a degree in business. The two-year captain and four-year letterman (1994-97) was named to the All-ACC first-team at center in 1996 and 1997, as well as the conference’s All-Academic team in 1997. An active member of his community and a contributor to numerous charitable endeavors, Saturday supports Kids’ Voice of Indiana, People’s Burn Foundation of Indiana, the Riley Hospital for Children and Susan G. Komen for the Cure. Saturday and his wife, Karen, have three children: Jeffrey, Savannah and Joshua.